Join the Compounding Courage team and other brave individuals for this FREE community viewing on April 19th! 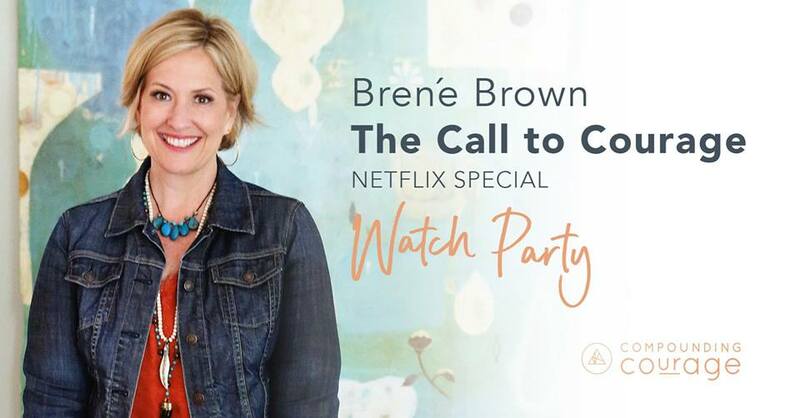 Best-selling author and TED speaker Dr. Brené Brown is bringing her empowering advice and insight to Netflix with a new special! Featuring inspirational stories and Dr. Brown’s signature humor, The Call to Courage is about dispelling the myth that you can’t at once be both courageous and vulnerable. Dr. Brown challenges the audience to be bold and step fearlessly into uncertainty and the unknown. This viewing is a great opportunity to learn and connect with other like-minded individuals. This event is sponsored by Compounding Courage. Donations are appreciated to continue to make events like this possible. Doors open at 6:30, show starts at 7:00.